Gerard started his health sciences journey as a personal trainer. Over his time training clients from many backgrounds and with many various goals, his enjoyment of anatomy and physiology and injury prevention/rehabilitation lead him to complete his Advanced Diploma of Health science. 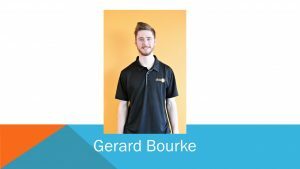 Currently a Soft Tissue Therapist, Gerard’s passion for better understanding of human function has lead him to study Sport and Exercise Science at the University of Canberra. Gerard’s combination of both exercise prescription and soft tissue treatment allows for a very pro-active intervention. This style of treatment uses manual treatment techniques complimented by client efforts through exercise based home care for longer lasting results. Gerard is available at the Macquarie clinic on Wednesdays.